Yorke’s work at the Lincoln Center has sprawled throughout the years to include nearly every constituent on campus. 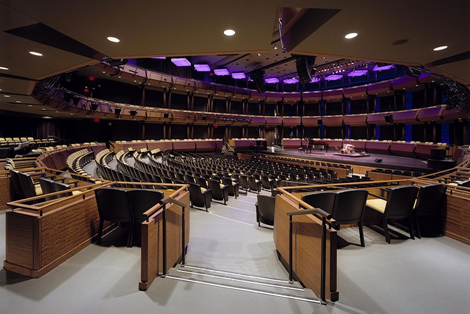 Jazz at Lincoln Center trusted Yorke Construction with nearly all their development and construction needs. Our recent work includes a range of phased projects which includes renovating dressing rooms, rehearsal spaces and general aesthetic updates throughout the entire common space. Also recently completed was the renovation to the Allen room and Dizzy’s jazz lounge. And finally the Rose Theater received general updating which included a new auditorium floor, new stage floor, sound control entrances and paint. These projects were successfully phased and completed as planned in order to avoid disrupting show schedules and short notice events.